I’ve noticed that the Server.app installers for Mavericks and Mountain Lion have now vanished from my list of Purchases in the App Store, and searching for “OS X Server” will only give you the option of Server.app 4.0 for Yosemite. 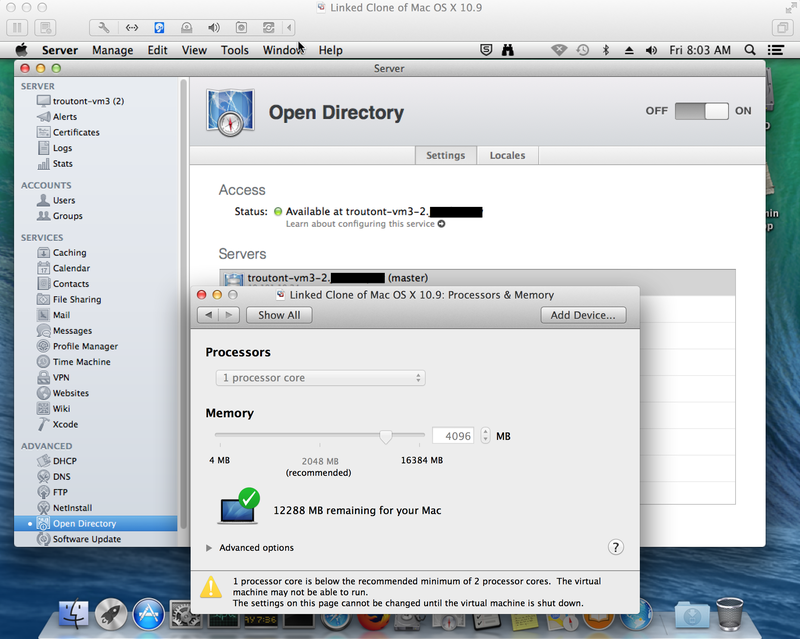 However, Server.app 2.2.5 for Mountain Lion and Server.app 3.2.2 for Mavericks are still available. You just need the right Mac App Store URL. To help safeguard against a day where they may not be available at all, I recommend downloading a copy of the Server.app installer packages from the MAS. 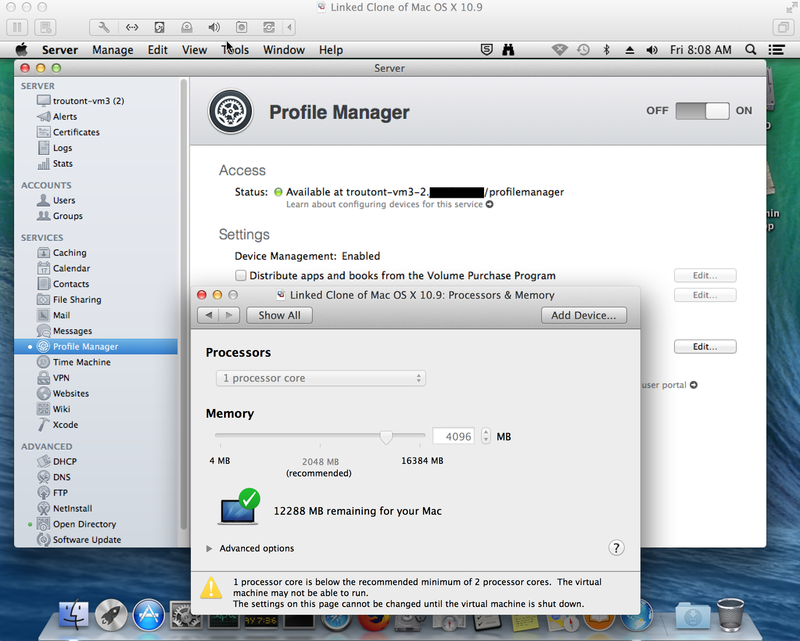 Profile Manager in 10.7.x and 10.8.x also has an known issue where it crashes when set up in a VM. The root cause is the same: Profile Manager needs to have Open Directory running and Open Directory won’t turn on. The fix for this issue in 10.7.x Server and 10.8.x Server is simple – give your VM more than one processor. Once you give the VM multiple processors (two is fine), Open Directory should begin working. This will also fix the Profile Manager crashing issue, as Open Directory should now enable properly. In Mavericks, it appears Apple has addressed this issue. In my testing, Open Directory no longer requires multiple processors. Now that Open Directory can run with one processor, Profile Manager also now runs properly on a one-processor VM.